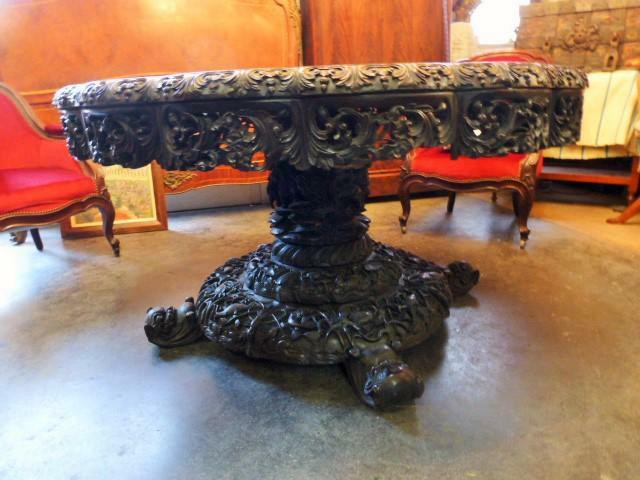 Fabulous Asian wooden table with marble tray dating from 19th century. 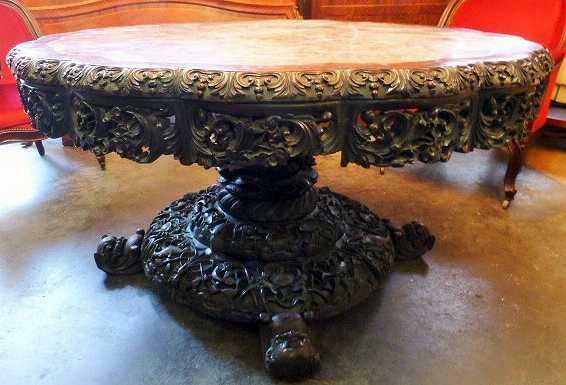 That antique table come from South East Asia. 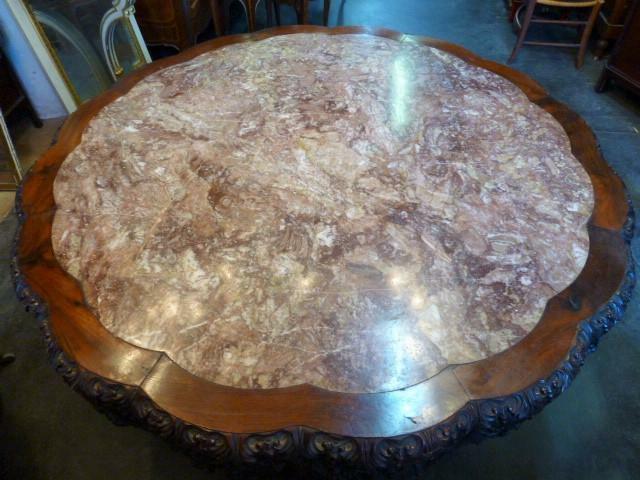 Carved tray in pink marble said "moon stone” basing on a hand-carved central foot structure. 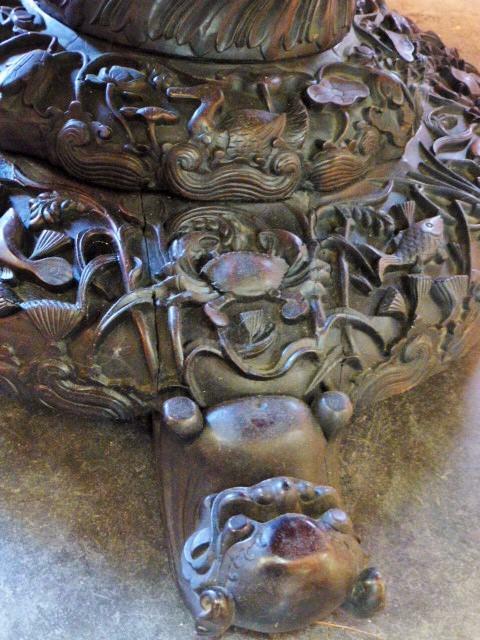 The central foot is hand-carved and decorated by a multitude of aquatic motives on the lower part and animal motives on the upper part. 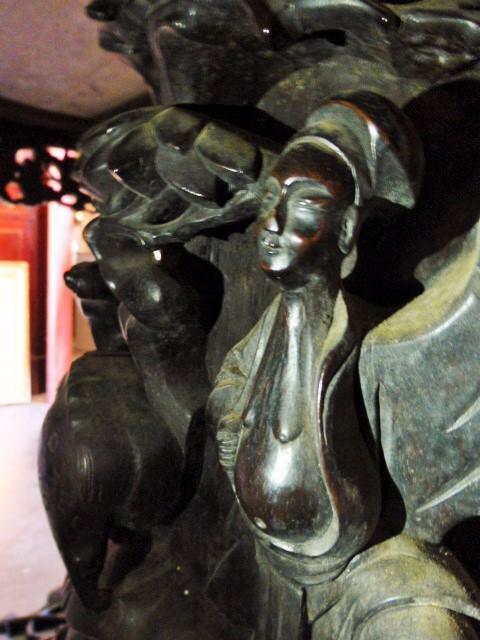 The foot ending by three dragon head. 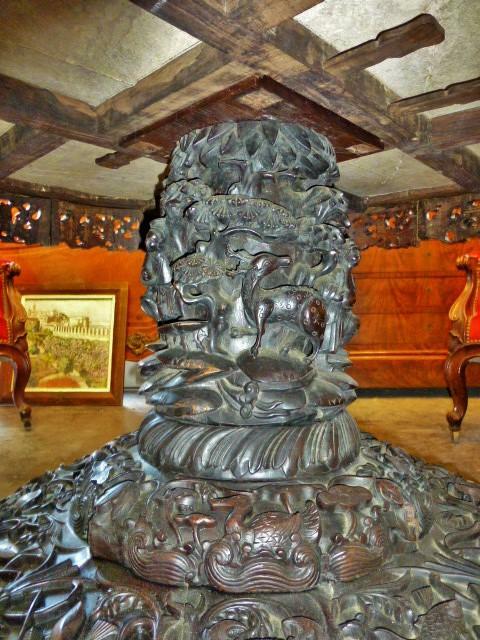 The side is decorated by many leaves and vegetal motives finely carved. 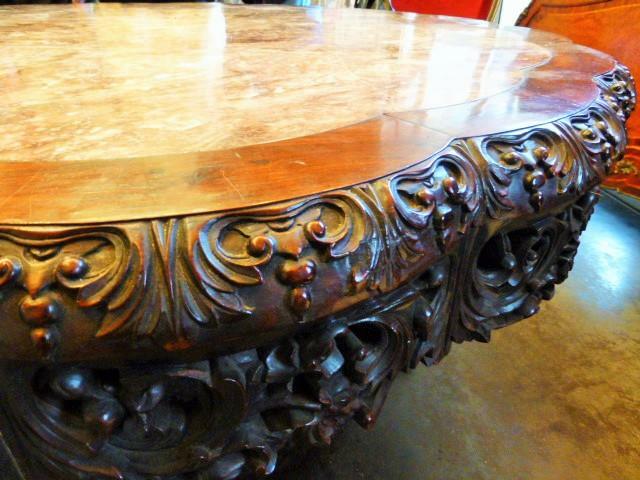 Magnificent carved work on the wood and the marble for that fabulous and rare table. 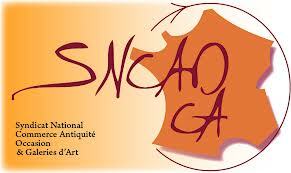 Auction result for 15000€ in 2013 for a similar table.